After previous adventures on the Mason Bay and in the Streaker and, after looking around at a variety of boats for a couple of years, we found what we wanted in April 2011. 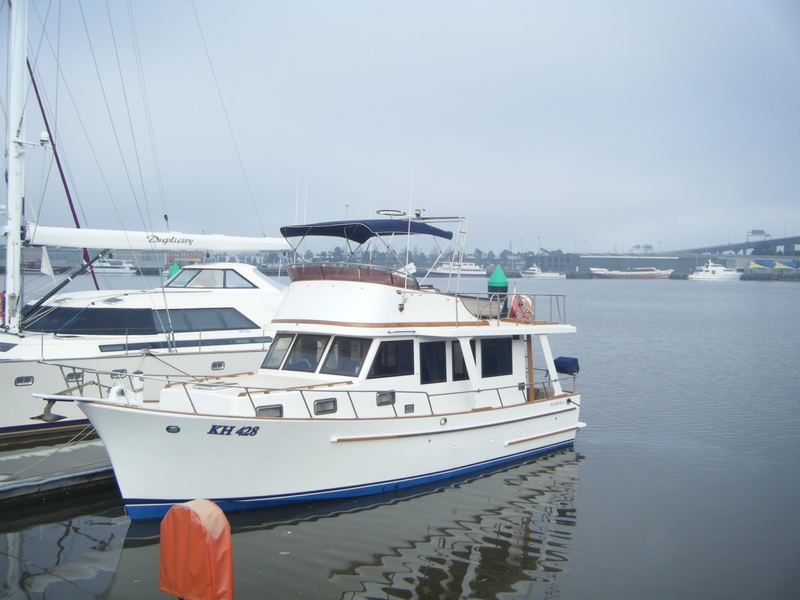 She was "Manooka", a 36 foot Blue Seas cruiser, built in 1986, with a Ford Lees 80hp engine, a lovely saloon, a flybridge and a single cabin - big enough for us to enjoy together and with family and friends, small enough for Captain Martin to cruise alone. 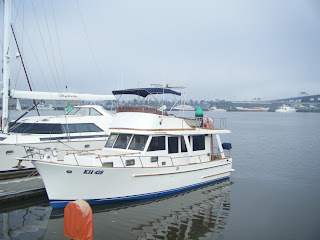 When we bought her, she was at Sandringham Yacht Club, and we left her there for a few weeks so that Captain Martin could get used to owning and managing a larger boat and while we got used to the idea of having a floating "holiday house". We made the most of our lovely location too, with day trips to Point Ormond, weekend trips to Docklands and evening drinks at the Yacht Club (particularly pleasant on a Friday night!). Next mooring was at Blairgowrie Yacht Club - another nice location, if slightly further away. By then it was June and we made many Friday afternoon trips down, in varied weather conditions, once staying at the Marina as the wind howled over the sea wall, another time enjoying a cruise to Queenscliff for the weekend. We made the most of the close proximity to Sorrento and Portsea with lunchtime cruises down the bay, loving the fact we had an enclosed helm and saloon while the breeze was chilly. Eventually, in July, it was time to move to Yaringa Marina, on Westernport Bay. Captain Martin and the Marina's owner, Stefan, brought the boat around in benign conditions - the journey took 8 hours and the Captain loved his first venture into Bass Strait but was glad to have an experienced sailor aboard. Mooring the boat at Yaringa also made it so much easier to drive to, and we enjoyed many nights aboard over the rest of winter, safe and cosy as we got to know our boat. Summer aboard was even better; with longer and warmer days giving us more boating hours to enjoy. 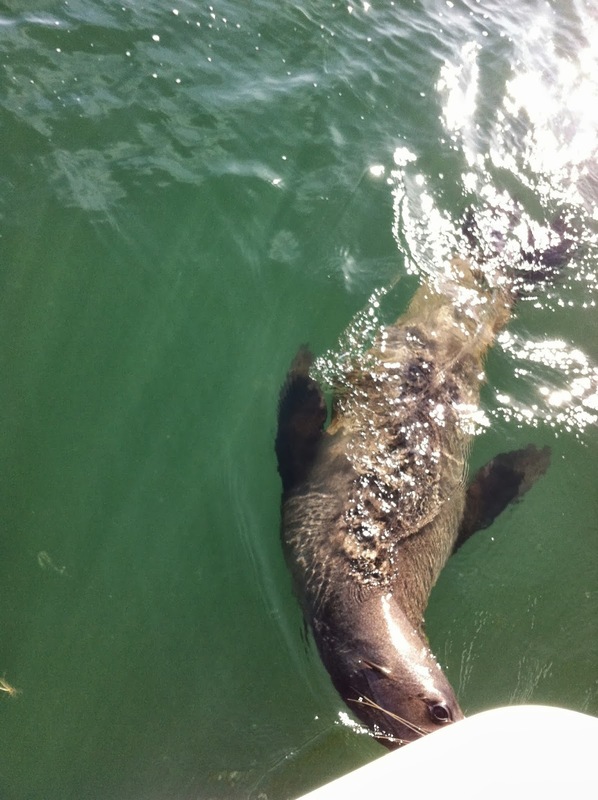 We made friends with the locals - other Mariners plus the local wildlife - including a very friendly seal who frequents the bay and the Marina and keeps us all entertained! 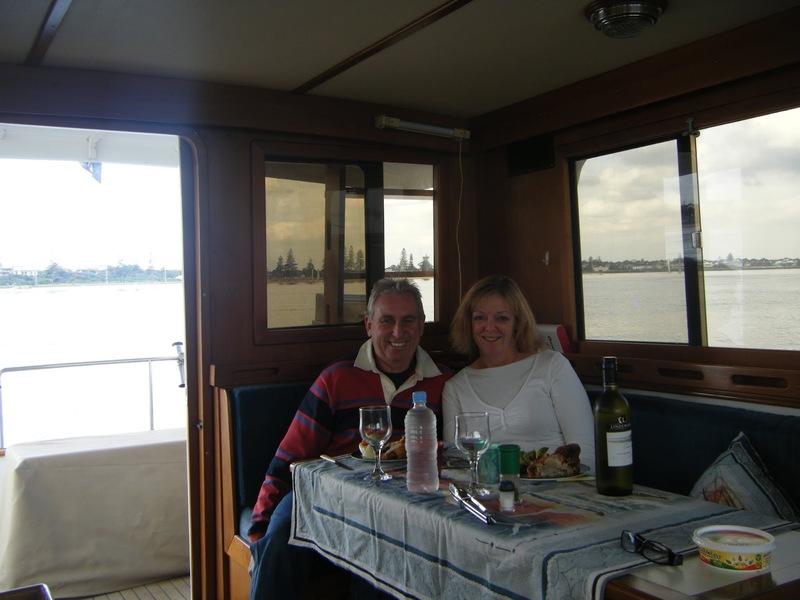 Manooka gave us over two years of boating pleasure and the whole family and many friends enjoyed time aboard, with many social occasions including New Years Eve, birthday celebrations and pleasant nights at a variety of locations. She taught us a lot about cruising and owning a larger boat, and she certainly taught Captain Martin a lot about owning and maintaining an older boat!